As a woman, I’m often searching for balance. We serve so many roles—wife, mother, daughter, friend, neighbor—that it’s hard to juggle everything. Add the title, Author, and it gets even trickier. When I first started writing seriously, I kept it to myself. I had one day off a week and stayed home with my preschooler on Mondays. He was the kind of kid who played happily in his room, so I spent that quiet time on the computer, starting a draft of Domestically Challenged, a tale of a working mom who quits her job to stay home with her child. Instead of finishing that book, I lived it, right before my youngest started Kindergarten. My boss told me I either needed to go back full-time or quit. I quit. I knew I couldn’t juggle two kids in school, with homework and sports, and have any time left for myself and my secret sanity saver—writing. I finished two novels that will never be published before telling my husband the real reason the laundry never made it out of the dryer. He’s been very supportive of my writing. He encourages me to attend workshops and conferences. He will take the boys fishing for the day if I need uninterrupted time to work. He’s also my number one fan. Even with the hot guy on the cover, my husband is more than willing to share news and reviews of my book on his Facebook page. Sure, he has to inform the girls he went to high school with, that no, that is not him on the cover. And, he’s really good with the laundry. My second novel, Worth The Trade, comes out on July 7, just three months after my debut, Better Than Perfect, was released. So now I’m trying to balance promoting two books while writing the next two books in the series. 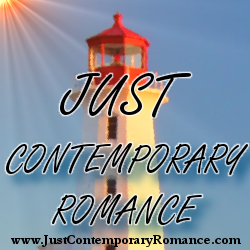 I have overlapping blog tours and my own blog to maintain. I have a Facebook Page, a Twitter account, and I’m trying to be more active on Goodreads. Oh, and I’m still a wife, mother, daughter, and friend. I have volunteered to take a board position for the Sacramento Valley Rose chapter of Romance Writers of America. I hope I’m not getting in over my head. When I go back to work when school starts up next August, I will have more time, but fewer positions. As a paraeducator, who was a classroom teacher, I’m able to fill several different roles at the school. Last year I worked in the reading program, special education, before and after school carpool duty, lunch tables, and I was a one-on-one aide for two special education students. This year, I will do reading, lunch, carpool duty, and I’ll have my one student who I plan to stay with until he finishes fifth grade in two years. I’m hoping we’ll have a juggling unit for P.E. next year, because I could sure use it. 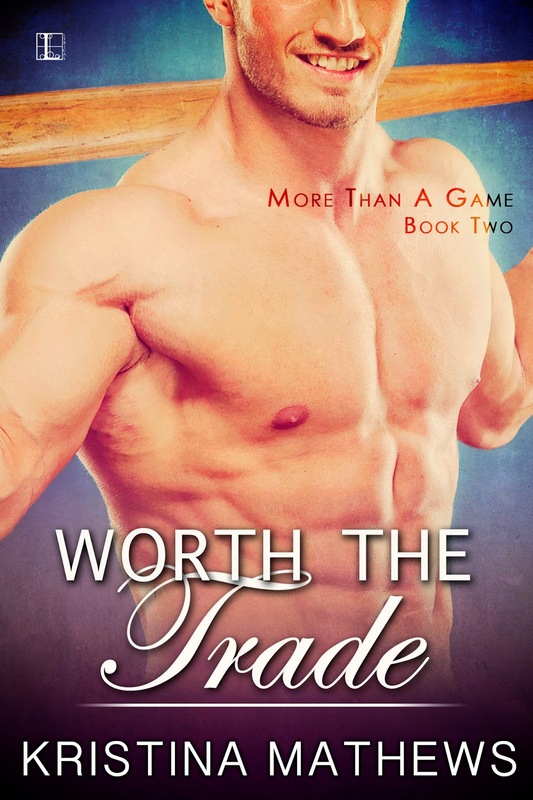 After inheriting majority ownership of the San Francisco Goliaths baseball team, Hunter Collins wants to prove to herself and the rest of the league that she’s got what it takes to build a champion. Her first move is to trade for a hot left-fielder. He’s got it all, speed, power, and a desire to win. Not to mention undeniable charm. Marco Santiago is tired of being the new player in town. This is his fourth team in six years and he’s facing free agency at the end of the season. He wants nothing more than a long-term contract. Hitting on his new owner probably isn’t the best way to secure his future with the team. They’ll both give anything to get their team to the World Series, even their hearts. Thanks for stopping by. I also want to thank you, you're one of the people who has helped me on my way. You donated a critique of my first book to the Brenda Novak auction and you really helped me take it to the next level. Hooray, Kristina! I have to say that in the last couple of years, the writing has barely made it into my balance, unfortunately. Life is winning! Nice to see you here Phyllis. Routines help. Vacations are really hard.